Neckwear designer Cantucci took a vintage medallion print and modernized it with a slimmed down cut measuring 3.1 inches at the widest point. 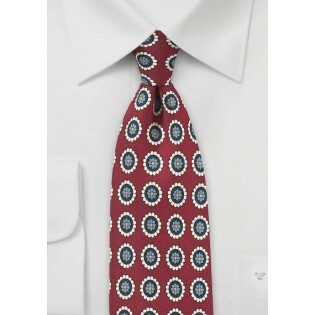 While a great addition to any suit, we liked this tie with a navy blazer and striped dress shirt. 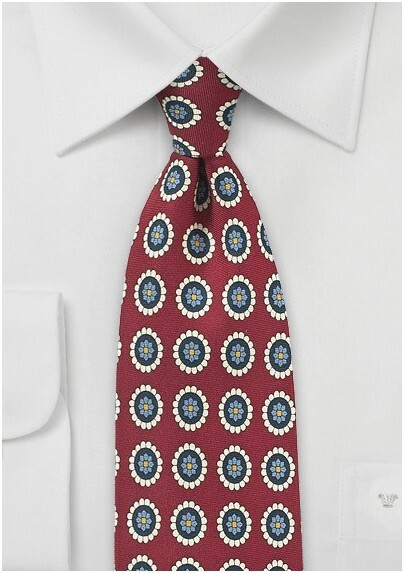 Made from handprinted silk twill by neckwear brand Cantucci.